The Carrier Infinity series air conditioners are engineered to be Carrier's best units. Two-stage compression, high-efficiency and quiet operation are all key reasons why this unit deserves the Infinity series name.Two-stage compression lets the system bring the cool when it's needed but allows it to function mostly in low-stage, where you get the highest efficiency and the best dehumidification due to longer run times. Carrier has one--piece heating and cooling units with low sound levels, easy installation, low maintenance, and dependable performance that use Carrier’s unique refrigerant designed to help protect the environment, Puron. Puron is an HFC refrigerant which does not contain chlorine that can harm the ozone layer. Puron refrigerant is in service in millions of systems proving highly reliable, environmentally sound performance. The systems have excellent warranties on parts and heat exchanger. Carrier Furnace installations should be installed by an HVAC professional. I've been servicing carrier furnaces for the last 25 years. They are such great furnaces to have in your home. Very dependable systems. You know all the furnaces that I've seen in the field. 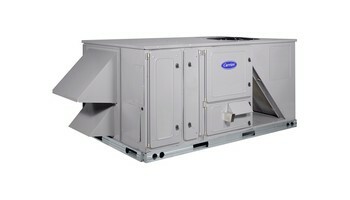 Carrier sticks out to be one of the best forced air systems. Carrier furnaces are very easy to clean. Sanding the sensor changing the igniter replacing the gas the valve is easy to do on a carrier furnaces. it's a great system to install anywhere. Carrier Furnace installs. The Price is Right Heating and Air Conditioning installs carrier furnaces. Call today for service or installs. Professionally install a Carrier Furnace for high efficiency and reliability. Carrie is the name that you can depend on. Carrier Furnace have been around for over 50 years. Giving you warmth and comfort through the coldest winter months. Also keeping you cool uncomfortable through out the hottest summer months. 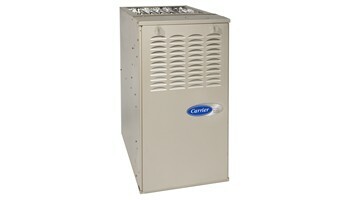 Install a carrier furnace this is an HVAC forced air system that you can rely throughout the whole year. To expertly install any forced air Carrier system you have to have a lot of years of experience. To know and understand that you're dealing with gas electric carbon monoxide. HVAC furnace installation is not something that anyone can do. Azrikam who's been doing this for 30 years understand and knows how to do professional installs. We have some of the best specialized Carrier furnace installers. Some of the best furnace installers are those who install carrier furnaces. I see in the field every day. All the new furnace installations that are done by different companies who install furnaces. Some of the best furnace installers are Carrier HVAC installers. 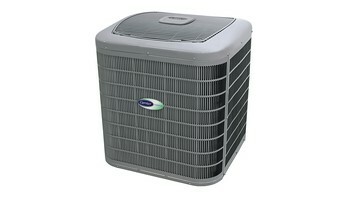 Any installation of any furnace are air conditioning units. Should be done by a licensed and insured company.